Since 2006, Tree Pros’ dedicated team of certified arborists, tree workers, and enhancement technicians have been committed to ensuring the health and appearance of your trees, shrubs and lawn. 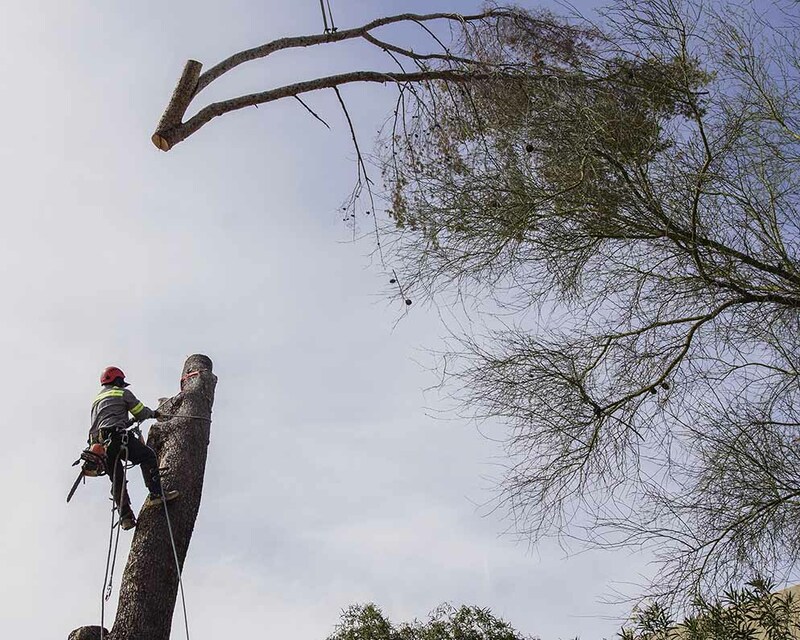 Please contact our offices to schedule an appointment for the following services: tree trimming, tree removal, stump grinding, soil injections, fertilization, irrigation, planting, precision takedowns, outdoor lighting, queen palm crown treatments, trunk injections and tree health inspections. 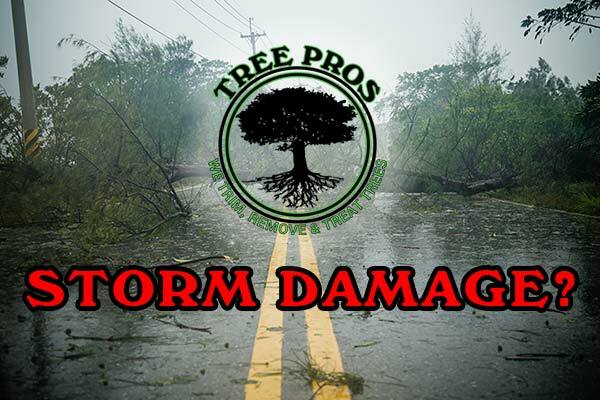 Tree Pros will safely and efficiently remove any tree. Read more for reasons to remove and our procedures. 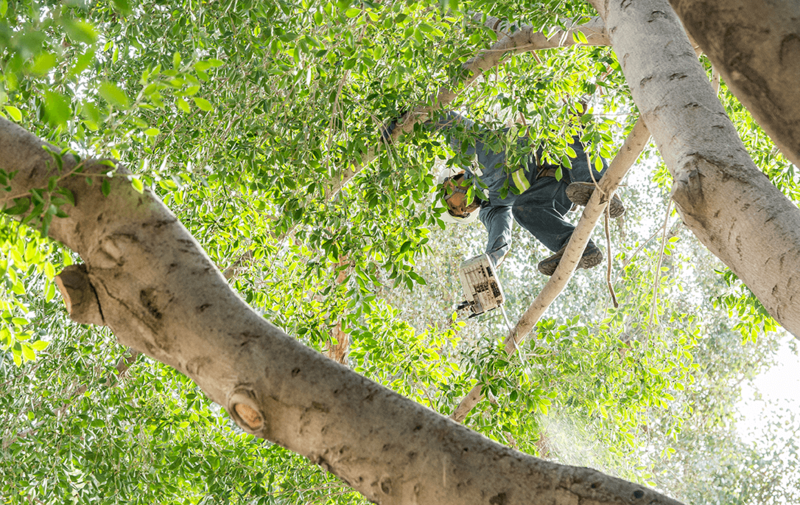 Trees are trimmed by certified tree workers according to ANSI standards, promoting natural healing and healthy growth. Stump grinding below grade is offered as an additional service with your tree removal or for an unsightly, pre-existing stump. Our certified arborists can recommend the perfect tree for your home landscape. Also offering 1 year warranties! Our injection process will aerate and level the PH of compacted soil, flush out excessive salts that collect by way of standard watering practices, and adds beneficial fungi for better water and nutrient uptake by your tree. Our Certified Arborists can assist in diagnosing and nursing your ornamentals to health. Our goal is to provide your plants with every opportunity to survive some of the natural stresses that they face living in our valley. Certified irrigation technicians qualified to install, diagnose and repair customized irrigation systems. We zone to provide your trees, shrubs and lawn with the appropriate watering schedule. "TREE PROS WAS VERY RESPONSIVE TO MY LANDSCAPE NEEDS, FROM THE FIRST CALL TO THE ACTUAL FERTILIZING TREATMENT. AFTER SCHEDULING THE APPOINTMENT, A CERTIFIED ARBORISTS, CAME OUT AND ASSESSED MY TREES AND LANDSCAPING AND OFFERED CONSTRUCTIVE SUGGESTIONS. I WANTED TWO TREES TRIMMED BACK AND SHAPED, BUT HE STRONGLY ADVISED AGAINST IT...I SENSED HE WAS MORE INTERESTED IN DEVELOPING A RELATIONSHIP WHERE HE WOULD MONITOR THE LANDSCAPE AND PERFORM WORK ONLY WHEN NECESSARY. I DID AGREE TO A FERTILZING SCHEDULE, ESPECIALLY FOR MY QUEEN PALMS. A FEW DAYS LATER A TECHNICIAN CAME OUT AND INJECTED MY TREES AND PALMS WITH FERTILIZER. THE GENTLEMAN WAS ALSO PLEASANT AND HELPFUL. GREAT COMPANY WHO I WILL CALL AND UTILIZE AGAIN."